Jeev Milkha Singh came within touching distance of entering the top 10 in the Portugal Masters. 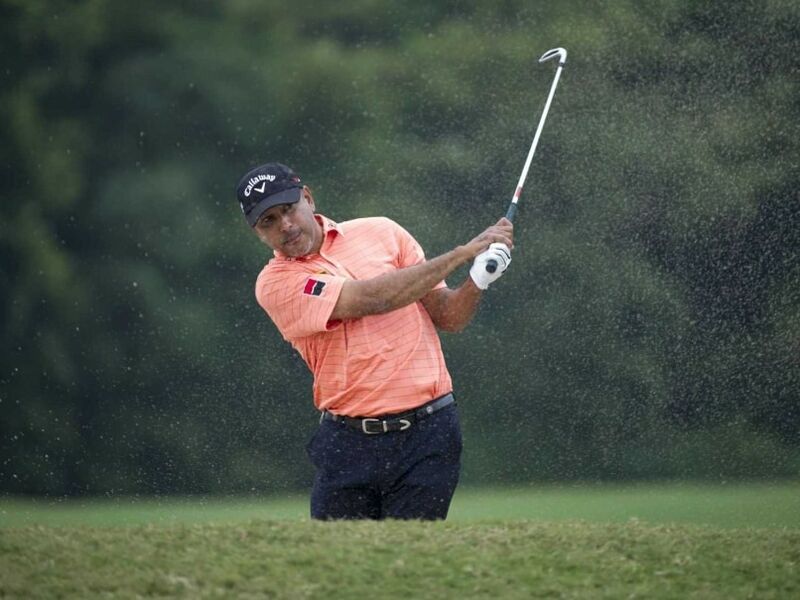 Jeev, the only Indian playing in the event, birdied fourth, fifth, 10th and 11th and eagled the par-5 17th. His lone bogey came on seventh. Andy Sullivan made hay whilst the sun shone on the second day as the Englishman opened up a commanding lead courtesy of a second successive round of 64. With adverse weather over the weekend threatening to curtail the tournament for the second year in succession, the jovial Englishman is in pole position to claim his third European Tour title of the season after moving to 14 under par. Sullivan's closest challenger at Oceanico Victoria Golf Course is Belgian Thomas Pieters, who climbed to 11 under par courtesy of a round of 66. Austrian Bernd Wiesberger, currently seventh in The Race to Dubai, shares third place on ten under par alongside Eduardo De La Riva after the duo carded respective rounds of 64 and 67. Due to the adverse weather forecast the tournament organisers have agreed to begin the third round at 8am with a 'shotgun start'.